SolarWinds recently announced the results from its latest annual survey which also happens to support IT Professionals Day, which is observed on the third Tuesday of every September (which happens to be today, September 18, 2018), emphasizing appreciation for IT professionals. 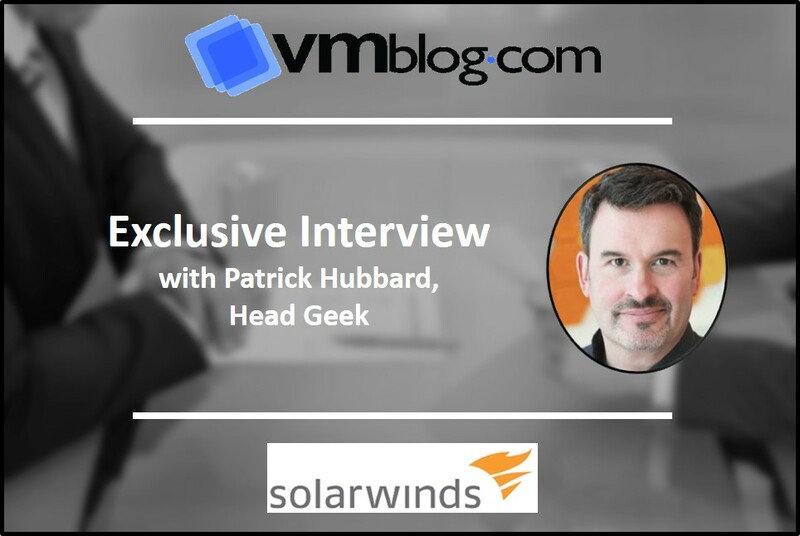 To dig into both, VMblog reached out to and spoke with SolarWinds Head Geek, Patrick Hubbard. VMblog: It is Sept. 18th, and it sounds like SolarWinds and the world is celebrating IT Professionals Day. Can you talk about it and maybe provide details as to what SolarWinds is doing to celebrate and what it means to the company? Patrick Hubbard: SolarWinds established IT Pro Day in 2015 to celebrate the dedicated tech experts-system administrators, network engineers, database administrators, information security professionals, developers, IT support technicians, and all other professionals serving in IT-related roles-who work tirelessly to solve any problem thrown their way, no matter the size of an issue. From helping an individual send a large file, to patching critical enterprise vulnerabilities, solving latency issues beyond the firewall, or fixing application performance problems, technology professionals are the unsung heroes of modern business. And interestingly, that's somewhat intentional, as most prefer not to make a fuss that business would grind to a halt without them. This can lead to a lack of understanding by business leaders and end users as to just how critical an individual tech pro's responsibilities are, and the complexities associated with their day-to-day roles. IT Pro Day provides the perfect opportunity to recognize and appreciate the depth of technology professionals' responsibilities in today's workplace. Celebrated annually on the third Tuesday of September, IT Pro Day is the day we say thanks to all the dedicated people out there working their magic behind the scenes-keeping our essential technologies performing and our lives running smoothly. In honor of the fourth annual IT Pro Day, celebrated this year on Tuesday, September 18, SolarWinds has released findings from its A World Powered by Tech Pros survey. VMblog: SolarWinds just released the results from a new survey, A World Powered by Tech Pros, can you explain to readers what this report is all about? Hubbard: The trouble with being a solutions-oriented hero at work is that, too often, the job is never done due to forces outside their control. In fact, tech professionals have so much on their plates that the 2018 SolarWinds IT Trends Report: The Intersection of Hype and Performance found that over half of all tech pros surveyed spend less than 25 percent of their time on proactive optimization of their environments. This is despite the fact the majority would love to work in a proactive environment. But what if that wasn't the case? This year's survey was designed to dig into that very question and provides unique insight into what a world powered by tech pros could look like, exploring a world where technology professionals have the time, resources, and ability to use their technology prowess to do anything-from improving their IT environments, to addressing global societal challenges and even transforming their personal lives. Through the survey, SolarWinds offered technology professionals the freedom to think outside of a day's work (for once). After all, technology professionals have the technical knowledge and power to take this world forward; we wanted to hear how they'd do it! Overall, the fourth annual survey reveals tech professionals' ambition to be "Tech PROactive" by pursuing technology exploration and education that delivers enhanced end user experiences and business results, as well as their desire to pursue personal skill development in emerging technology. VMblog: What were some of the key findings uncovered in this year's survey results? Hubbard: Key findings revealed a world where a tech pros' prowess would span their work and home lives. In their day-to-day roles, the majority of respondents revealed that end users were the top priority; nearly 70% of tech pros surveyed respond to one-off user requests on a daily basis, and over half (51%) of tech pros respond to help desk tickets on a daily basis. However, even when they have time to be proactive at work, researching new technologies that will benefit the end user is still the number-one priority (by weighted rank). VMblog: Artificial Intelligence (AI) and Machine Learning (ML) are hot topics this year. Were there any important findings that talked about these areas of technologies? Hubbard: The survey findings revealed that, in a world powered by tech pros, AI, ML, deep learning, and cloud computing would not only transform IT environments, but also the "greater good." Respondents shared that they would use these technologies to uncover more actionable insights for business leadership; make repeatable tasks quicker and more accurate; and scale easily and cost effectively by using the public cloud. With adequate time to dedicate to pursuing emerging tech and innovation, tech pros say they would leverage these technologies (AI/ML, deep learning, big data analysis, cloud) to solve broader societal issues, specifically affordable education, housing, and healthcare, and environmental and sustainability initiatives. VMblog: Did any of the findings surprise you? What stood out? Hubbard: What stood out to me is how the findings of our IT Pro Day survey echoed the findings of our SolarWinds IT Trends Report 2018: The Intersection of Hype and Performance study earlier this year. In both studies, AI and machine learning, cloud computing, and automation were the front-runners when it came to technologies with truly transformative potential. For IT Pro Day 2018, it was particularly inspiring to see the variety of ways IT pros envisioned these technologies coming to life to solve greater societal challenges in the world. In a poll of our THWACK® community, we received some excellent examples of how technology professionals would use their talents for the greater good. One respondent suggested using technology to conquer climate change, and another suggested we use technology to optimize our environment, including cleaning the world's oceans and allowing robotics to optimize farming. They even suggested using technology to provide intelligence on when and how to plant successfully in each region of the world. Others suggested global Wi-Fi access, to allow people in remote areas of the world to have a voice in solving these societal challenges. It was also particularly interesting, but perhaps not surprising, that the end user really is a technology professional's number one priority. Respondents in this year's IT Pro Day survey revealed that in their limited free time at work, and even in the event they could have one extra hour to achieve a goal, they would explore a new technology, solution, or service that would ultimately, make the end user's life simpler. If that doesn't deserve recognition on IT Pro Day 2018, I don't know what does!